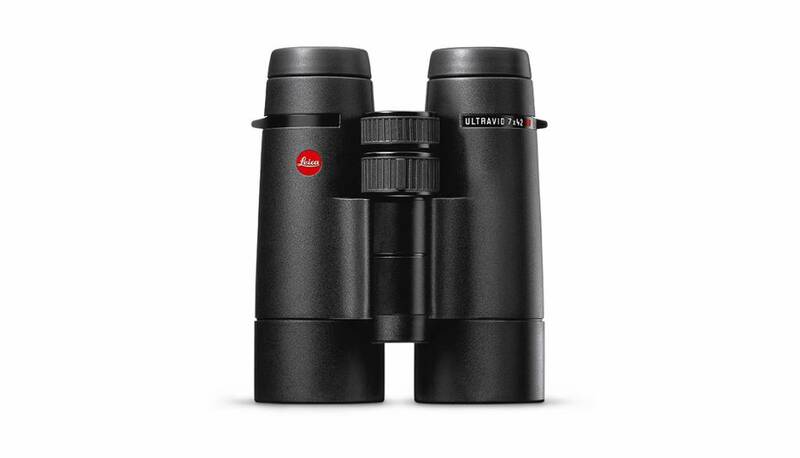 The Leica Ultravid 7x42 model of the 42 HD-Plus series is among the most compact binocular available on the market in its class, but its light-gathering power can compete with the larger 50 mm models. The 7x magnification and 42mm lens opening delivers a high brightness and is therefore ideal for use in the hours approaching darkness. In addition, the 7x magnification offers a steady image, because hand trembling or engine vibrations on a boat, are not transmitted. Protects the optical systems from water, dirt and damage. The AquaDura® coating developed by Leica gives crystal clear vision in any weather and protects the lenses from scratches and abrasion. Raindrops simply roll off. Dirt and fingerprints are easily wiped away. Great performers in all situations. The timeless elegant design hides and protects what’s inside: precise mechanisms and the finest optics. The Ultravid HD-Plus binocular is a reliable companion that has been tested under the toughest conditions. Experience nature in razor-sharp detail. The Leica Ultravid HD-Plus is a precise combination of state-of-the-art technology, new coating processes, innovative glass materials and the greatest optical know-how.